Your source for the dirt about soil. Want to know how worms create compost? Vermicomposting or worm composting has gotten very popular. Setting up a bin is super easy, it just takes a trash can or stroage container, some shredded newspaper, a little water, the food scraps and of course, a pound or two of worms. So long as you do not overfeed your worm bin food scraps, you will have a healthy fresh smelling compost bin. The worms will acclimate and multiple which will require incremental increases in the amount of food scraps you give them. If you would like to set up a worm bin please refer to our instructions at Setting Up Your Worm Bin. 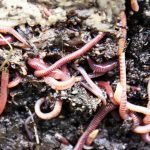 The popularity of worm composting has increased so much that the American Chemical Society produced this informative video for the Washington Post explaining how earthworms aid in the decomposition of organic matter to produce nutrient-rich compost. Earthworms have a gland that secretes calcium carbonate to help the worms digest the carbon-rich organic matter which reduces the amount of carbon thrown off into the atmosphere. Since earthworms don’t have teeth, they rely on their gizzard to crush and pulverize their food. Drilodefensins is an acid found in the gut of the earthworm that enables them to neutralize the poisons that make up parts of some plants. 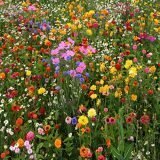 All of this happens to create worm castings which is nutrient-rich plant and tree loving soil by another name. Another fun fact: Earthworms consume a 100% fiber diet. If human were to do that, we get seriously constipated. But the worms can do it because their digestive system incorporates all the enzymes they need to breakdown the organic material. If you have ever been curious about vermicompost or composting with worms, you must watch this short information packed video. You’ll never look at a worm with disgust again. These little creatures are powerhouse workers. If you thought you had an efficient composting system, you’ve got to read this article Elizabeth Royte wrote for the New York Times entitled The Compost King of New York. The New York City Sanitation Department has instituted a Zero Waste program that asks residents to separate their food scraps and yard waste in separate brown bins which are collected curbside or via neighborhood collection bins. This waste is picked up separately to reduce the amount of methane producing refuse in the sanitation landfills. Royte was curious where the food scraps she was leaving at her curbside or others were depositing in the various receptacles around NYC actually went. She followed the trail and her findings are in this article for the NY Times. Royte visits a farm that accepts food scraps and produce waste from grocery stores. The organic material is composted in the familiar methods. The some of the resulting soil is used on the farm while the rest is sold by the cubic yard to help offset the farm’s expenses. Elizabeth Royte will also introduce you to a man who is convinced his $50 million investment into an anaerobic digester will reap profits from the renewable fuel he will produce at his massive complex in Yapank, New York. The rotting of organic matter combined with sewage also collected will generate a biogas that will be captured to power his plant and possibly provide heat and electricity for surrounding homes. There is an unending source for raw material since New York City pays him to take the food scraps that sanitation trucks collect curbside each week. You will also meet a man who has been studying rotting things his entire career and he will explain carbon benefits of composting versus anaerobically digesting organic materials. If you are into composting as I am, you will find this article fascinating. Elizabeth Royte has written three books available on Amazon. Royte has also published an article for Audubon about neonicotinoids and how the pesticide linked with bee decline might also be threatening birds. We’ve written about it many times that composting your leaves each fall will do more for your garden than any store bought fertilizer ever will. Mike McGrath, hosts a weekly radio program on WHYY in Philidelphia called “You Bet Your Garden.” In this Ted Talk, Mike explains why you should be compost your fall leaves and not put them out for the trash collection. Watch what one person is doing to help revive the numbers of Monarch Butterflies in North America. The mission of Soil :: The Dirt Guide is dedicated to restoring soil to its proper place. That's right, we must be the disciples of dirt and disseminate the definitive information to the world about its creation and maintenance. Tired of looking for a USB Charger Block? Install this Top Greener receptacle and never search for one again! Find the creeping thyme option for your needs. 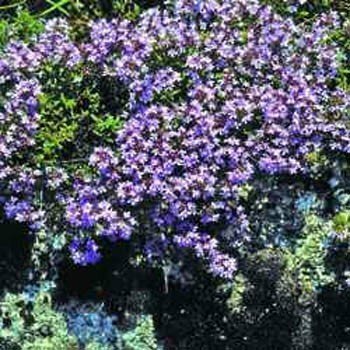 Find out more about creeping thyme. Ready To Start Your Worm Bin? You can purchase Uncle Jim's Red Worms from Amazon. Find out more about red worms for composting.